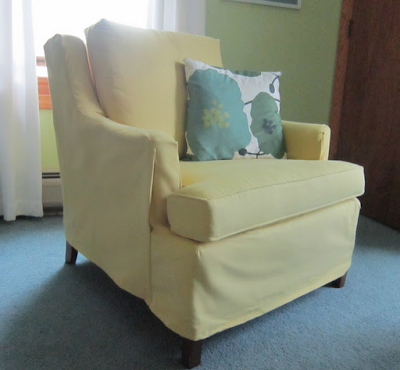 Check out this yummy butter yellow slipcover from Rita at Design Megillah. 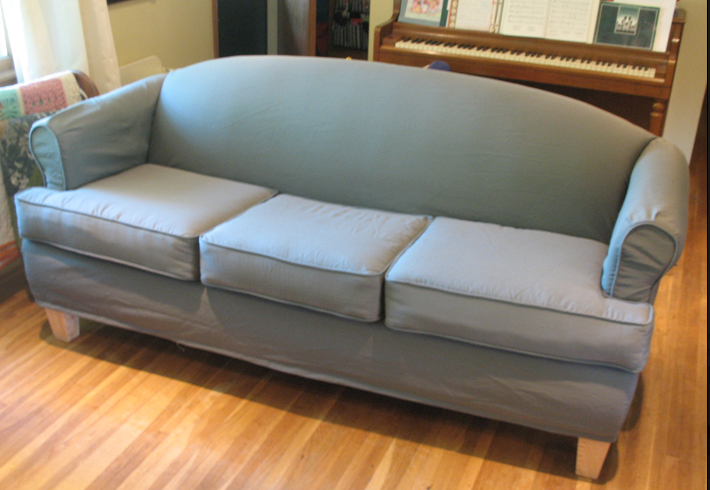 And this oh…so… sophisticated grey sofa slipcover made by Creative Chicks at Play. 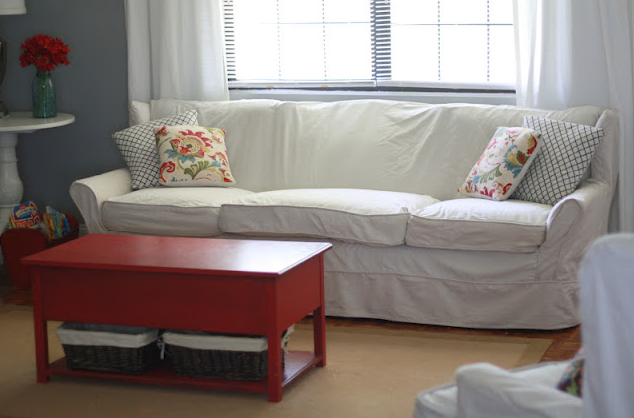 Absolutely adorable White slip by made by Laine from Just Laine. And doncha love the pop of red. Makes me want to paint something red right now!